Emma Stringfellow from Chester Archaeology Society has written a special piece for us, inviting new members to get involved with the wide-ranging visits and talks that the Society organises both in the city and further afield. Over to Emma, who is also director of operations and projects for Chester-based Big Heritage. Photos: Emma Stringfellow. You may not have heard of Chester Archaeology Society (CAS) but if you have any interest in Chester and its history then you definitely should have done. It is an amazing vibrant survival from a bygone age which is as relevant today as it was when it was founded in 1849. It was originally formed because of a concern that the historic monuments, architecture and relics of Chester and its surrounding areas were being lost without being preserved or studied. This still motivates the society today, so if you are interested in historic Chester then Chester Archaeological Society is definitely something you should consider being a part of. My personal favourite of all the Society’s activities are the winter lectures. These are a fantastic way to spend a dark and gloomy day, cosseted in the cosy bosom of the Grosvenor Museum’s lecture theatre, whilst listening to some of the country’s (and beyond) best archaeologists speaking about recent exciting discoveries across millennia of history and prehistory. The upcoming winter 2018/19 lecture series is amazing, covering the Ness of Brodgar excavations in Orkney with the site director, to the Terracotta Army . If you love TV documentaries on archaeology then you will definitely not want to miss these lectures. During the Summer the Society has an active excursions programme visiting a variety of sites in the North West of England and Wales with knowledgeable guides. The first one this summer will be exploring the landscape archaeology of the Vale of Llangollen with Dr Howard Williams from the University of Chester. The Society has, since its very early days, published a Journal (now available free online at the Archaeological Data Service). This covers topics specifically relevant to the Cheshire and North East Wales. 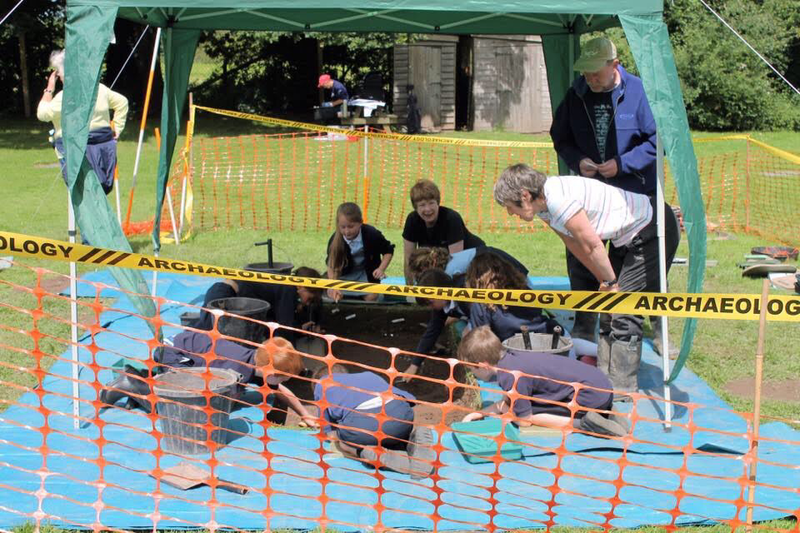 Hands-on archaeology opportunities are actively encouraged and supported for all members and with the wider community. The Society also has an extensive library, which can be accessed by anyone wishing to do so. Or just come along if you love archaeology, history, Chester and its past – and nestling in the bosom of the Grosvenor Museum. Membership of the society, which gives you free access to lectures and copies of the Journal, is only £20 per annum or £10 for students, however students can attend lectures for free or non-students for £4.